Fucha Ryori, a variation of Shojin Ryori is Chinese style Shojin Ryori hugely influenced by Chinese cuisine. Fucha Ryori was introduced to Japan about 300 years ago in the middle of 17th century. It features use of a lot of sesame oil, deep-frying and stir-frying dishes using plant oils and dishes thickened with Kudzu. For use of a lot of oil and seasonings, this Shojin Ryori will satisfy people living the modern life who get used to Western diet. 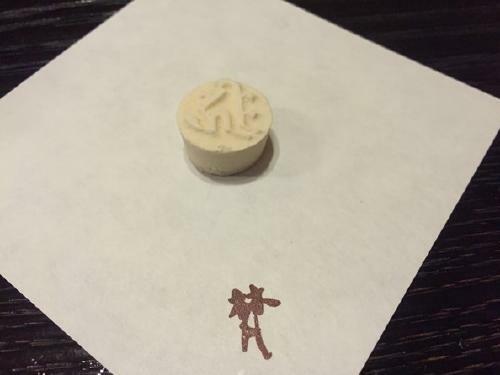 Click here for location and detailed information on Fucha Ryori BON. 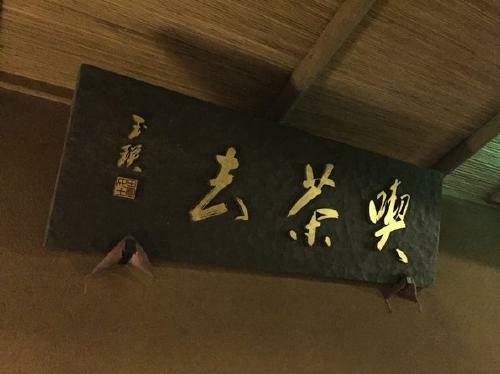 “BON” which was established in the spring of 1959 in a temple town, Ryusen of Taito Ward has operated keeping its original cooking method for 60 years and now becomes one of the most popular leading Fucha Ryori restaurants in Japan. For this article we visited “BON” and had an interview. Once we opened the sliding door, we saw the watered cobbled pathway and seasonal flowers decorated everywhere. A paper mache dog representing the year and red and white Monaka dough balls decoration as lucky charms created a seasonal scene. The beautiful calligraphy shows us their life style and their will to entertain their guests. BON serves Fucha Ryori, one style of Shojin Ryori inspired by Obaku sect of Zen which is well-balanced diet leading to a healthy body. 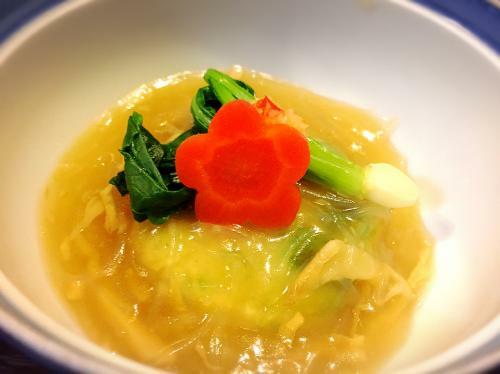 Its monthly menu using seasonal vegetables and ingredients will soothe our body. 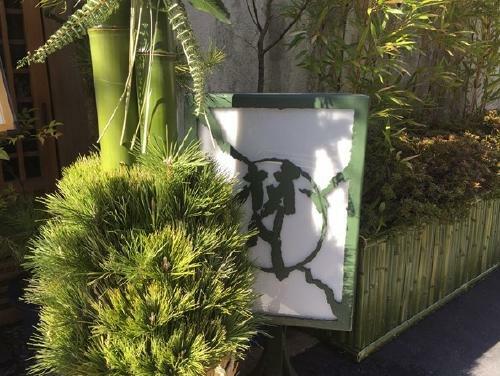 It is a long-established restaurant where famous VIPs have visited. BON’s Fucha Ryori is vegetarian cuisine served in a tasteful private room. BON has been appreciated by people for nearly 60 years and is globally well-known. We had an interview in a room with low table over a hole in the floor. The room has a beautiful view of green yard through the round window and a traditional Japanese aesthetics, Wabi-sabi ambience. 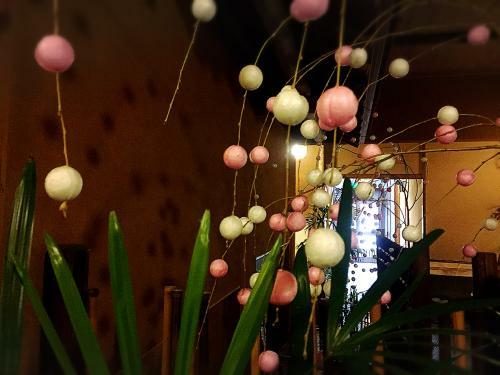 We visited BON in the new year and we experienced the menu of January, “Early Spring Fucha”. 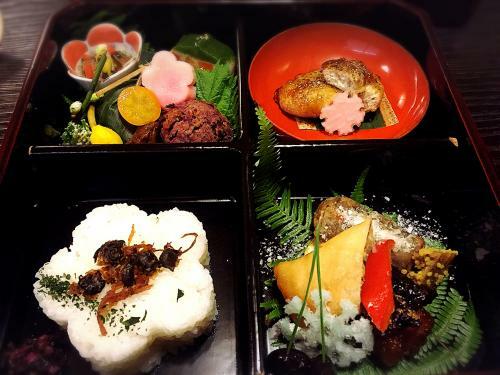 We had Fucha Bento Box (3,450 yen, tax and service excluded) available only during weekday lunch time. 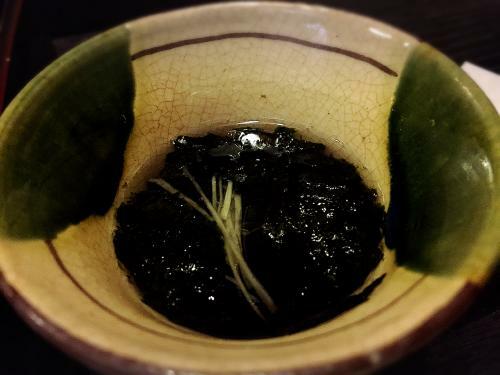 We were welcomed with Fukucha tea of the month, “Plum and Musubi Kombu Kelp Tea” and Higashi Japanese cake embossed with a Siddham script, Kiriku (meaning Amida, guardian deity of the year of dog). When we tasted them, we felt a blessed sense of joy. Then lacquered bento box and aromatic fresh nori seaweed and lily bulb cake soup were brought next. When the cover was removed, various beautiful dishes packed in the box appeared. 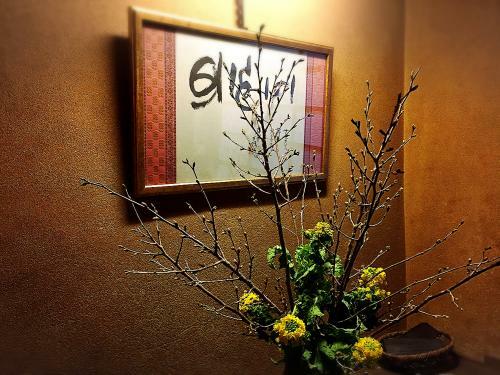 A Urajiro leaf and a branch with plum blossoms used for decoration add beauty of the season. Dishes were served in a timely manner for the experienced and thoughtful service. A warm dish, Eddoe and Mugwort Wheat Gluten Kissho Style were served while the staff was telling us to eat it in hot. It was chewy sweet eddoe dumpling served with Kudzu starchy sauce mocking shark fin. 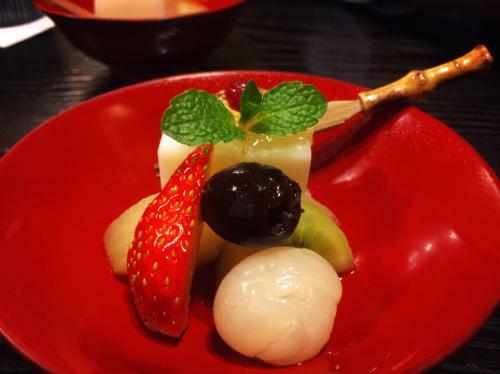 Cute small turnip and plum flower shaped carrot were garnished. Tempura and Inaniwa Udon noodles next. Tempura is called “Yuji” in Fucha Ryori. Not too sweet delicate taste Shojin broth sauce was delicious. 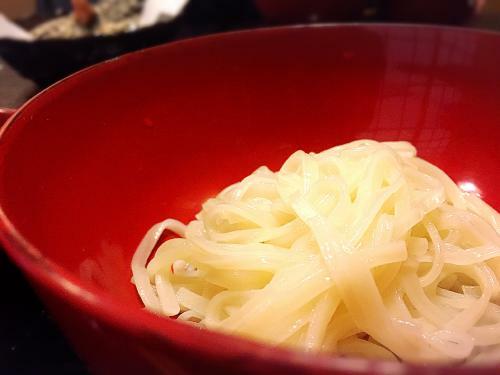 Fan-shaped deep-fried somen noodles were like a piece of art. The last dish, dessert was Soy Milk Almond Tofu and Fruits in Season. The portion was good enough also for male guests. And the superb taste made us content. 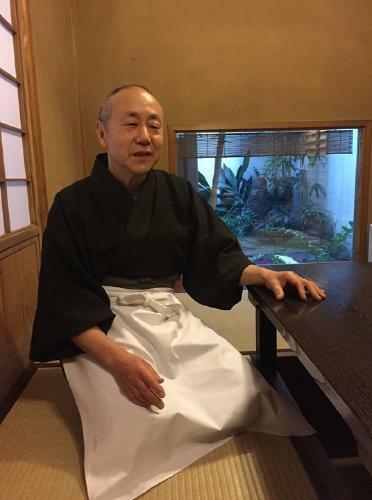 We had an interview with the owner, Mr. Ryuzo Furukawa who trained at “Obakusan Manpukuji” established by Ingen and then has operated BON which he succeeded to the predecessor, with his wife and son. 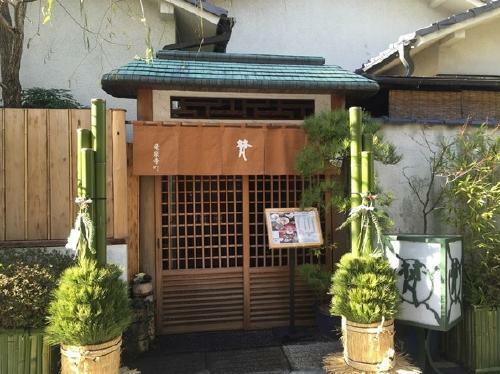 BON is located in a temple town, Ryusen Area near Asakusa and Shojin Ryori has been appreciated by the locals. Shojin Ryori has been served in the temples and many Shojin Ryori restaurants were operated in the area in the past. His mother who was a daughter of doctor and a dietician established BON to serve healthy foods. 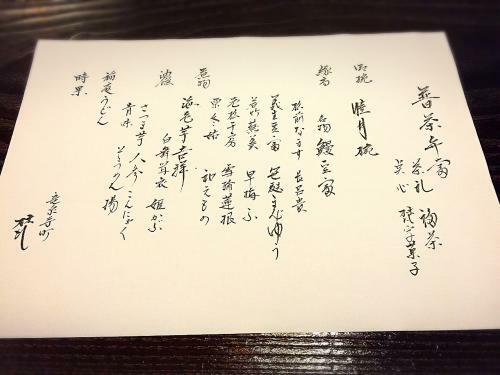 Mr.Furukawa had trained at the Manpukuji in Uji of Kyoto. But when his father passed away, he returned to Tokyo to help the operation of BON. Do you care about gluten-free as well as food allergies? 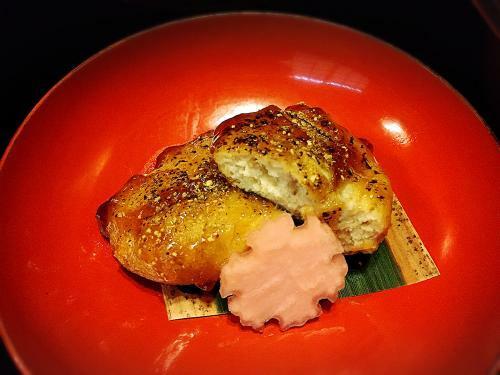 “Since Shojin Ryori often uses wheat gluten, it is not easy to arrange gluten-free dishes. But we make our best such as use of rice flour for deep-fried dishes. Our customers including vegetarian, vegan and students of Yukikazu Sakurazawa, macrobiotic advocator are often highly health-conscious and we try to avoid using refined sugar as much as possible and use beet sugar and Mirin to sweeten. Add sugar, salt, light soy sauce and Mirin into grated burdock and lotus roots. Then add mashed tofu and grated Japanese yam and well mix. Shape the mixture and cover it with nori seaweed and deep-fry it at a low temperature. What kind of people come here? It is famous that John Lennon and his wife visited here. “Often used for business entertainment and meeting. We also receive people from foreign embassies and many VIPs from overseas. Mr.Furukawa smiled and said he has improved his recipes little by little with what are good for our health hearing from his customers while keeping their tradition. 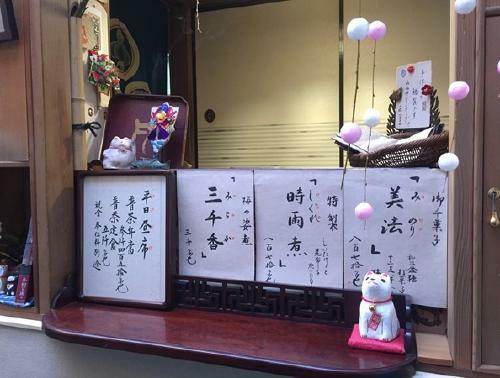 The letters in the tablet hang at the corridor says that please evenly enjoy tea, which is coming from the Fucha philosophy. The letters in the scroll displayed in the large hall mean that no calendrer in the mountain. At a temple we should take it that we must practice very hard forgetting about time. But here, the owner displays it to tell his guests to have a relaxing time forgetting about time. Healthy and delicious Shojin Fucha Ryori must become more popular just before the Tokyo Olympic Games. 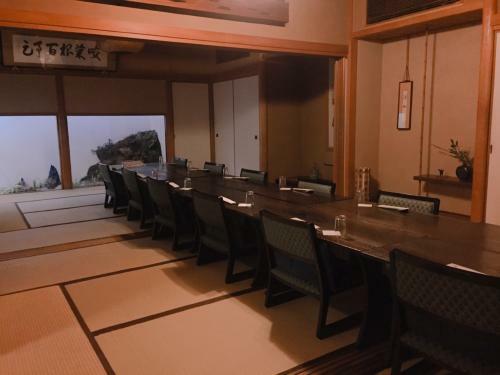 It provides splendid space and service which remind us the good old days of Japan. After the meal, we will feel a blessed sense of joy with our entire body. While tasting beautiful and delicious dishes prepared with care, we will remember the importance of well-being. 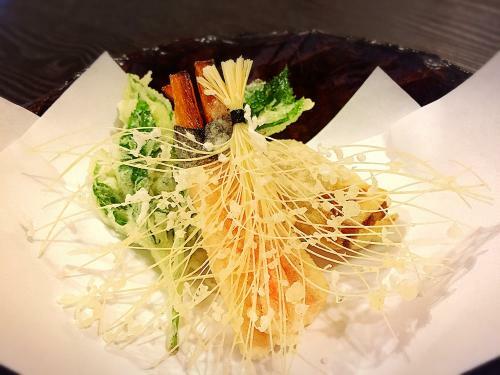 You must experience BON’s superb Fucha Shojin Ryori which we evenly and peacefully enjoy fresh and seasonal tastes with five senses!